Dive den is a family run guesthouse in the heart of patong, phukets tourist center. Situated a stones throw away from from Jungceylon shopping center and Baan zaan fresh market.Only five minutes walk away from Bangla road, phukets largest and liveliest nightlife center.Just ten minutes walk to patong beach. We have eight air-conditioned double rooms and two air conditioned twin rooms.The double rooms have king sized beds, all rooms have on -suite bathrooms with solar powered hot water showers, cable t.v. , refrigerators , and free wireless internet. Safety deposit boxes are available for all guests. There are also two mixed fan dorm rooms on the fifth floor.Both rooms have beds for five customers.They have on-suite bathrooms with solar powered hot water showers, cable t.v. , and refrigerators. All beds are separated by curtains for your privacy. Dive den is situated next door to Baan Zaan fresh market and Jungceylon shopping mall on Soi nanai. 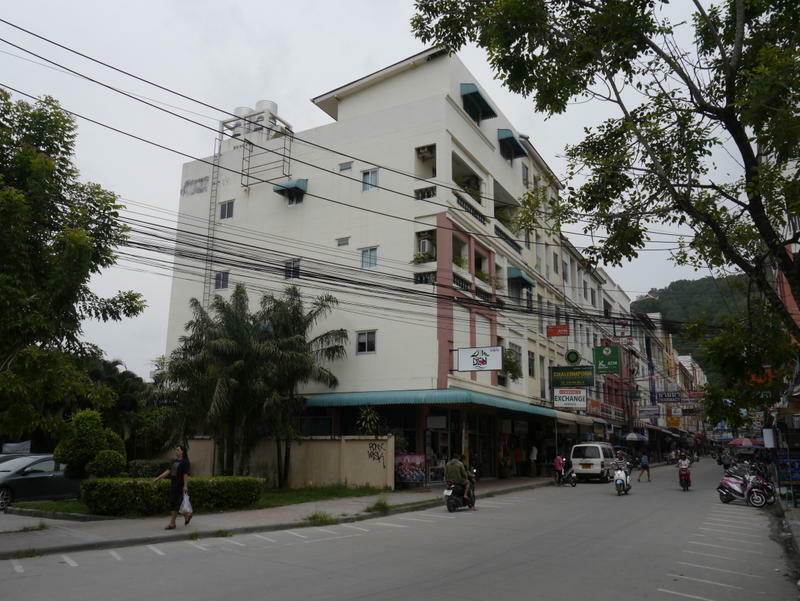 Nearest bus station is phuket town, bus or taxi available to Patong. Nearest airport is 40 minutes drive from Patong, mini bus or taxi available, please contact us to make arrangements. WARNING ! Please be careful for the airport taxis and touts and travel Agency from the airport. Do not let them bring you to other hotels. Because they will make extra commission on top.